What is the definition of "tangible personal property?" The arcane question is at the center of a lawsuit that could reap energy companies a multibillion-dollar windfall and drain the state's budget surplus. As plunging oil prices hollow out drilling country across West and South Texas, energy companies are hoping for a mammoth windfall from an unconventional source: the Texas Supreme Court. The state’s highest civil court last week agreed to hear a case hinging on whether metal pipes, tubing and other equipment used in oil and gas production should be exempt from sales taxes. While the issue is arcane, the impact to the state could be significant. Texas Comptroller Glenn Hegar is sounding the alarm that a ruling favoring the industry could force the state to issue tax refunds of as much as $4.4 billion — enough to wipe out the state’s projected budget surplus. “This is very serious, real money,” said Hegar, the state's chief financial officer, this week in an interview. Midland-based Southwest Royalties, a subsidiary of Clayton Williams Energy, sued the state in 2009 — just before a drilling boom transformed the U.S. energy landscape — after Susan Combs, Hegar's predecessor, rejected a claim for refunds on purchases dating back to 1997. Over the years, the case has wound its way through the court system. Now, the state's Supreme Court justices are set to weigh the company’s appeal of a lower court’s ruling amid concerns that a prolonged drilling slowdown might hurt Texas’ bottom line. It is one of two ongoing tax cases — the other filed by the parent company of AMC movie theaters — that budget watchers fear will cost Texas millions in past and future tax revenue if the final outcomes don't go their way. Hegar called the pair of cases “two of the biggest potentially that could impact what appropriators do in the next legislative session,” though he expressed confidence that the state would prevail in both. The oral arguments in the drilling case, set for March 8, are likely to enthrall accountants and chemistry teachers alike. The justices will need to parse the language of a sales tax exemption for goods and services used in the “actual manufacturing, processing, or fabrication of tangible personal property,” and debate how that description relates to the mechanics of petroleum extraction. Southwest Royalties says it does. The equipment, it argues, “processes” West Texas crude by separating it into marketable oil and gas. The Texas Oil and Gas Association, the state’s largest petroleum group, backs that position. Attorneys for Southwest Royalties declined to be interviewed for this story, as did the petroleum group. The state counters that the equipment does not fit the exemption's definition since underground minerals are not “tangible personal property.” Meanwhile, natural pressure and temperature changes — not the equipment itself — transform crude as it rises to the surface, Hegar's office says. Texas also warns that granting the exemption would spread far beyond Southwest Royalties' tax bill and “impose a severe financial penalty on Texas taxpayers” amounting to $4.4 billion in 2017, and $500 million each year after that as companies around the state seek to cash in, according to estimates compiled in 2012. “It is hardly likely that the Legislature intended such an expansive and costly interpretation of the manufacturing exemption,” the state’s attorneys wrote in legal filings. Southwest Royalties disagrees, and it says the financial impact has no bearing on who has correctly interpreted the policy. Ideally, judges decide such cases only on their merits, said Dale Craymer, president of the business-backed Texas Taxpayers and Research Association and a former chief revenue estimator for the state. But in reality, Hegar's warnings could matter. “Typically, when a judge is informed that the comptroller thinks that the ramification of these things is huge, they approach them much more cautiously," Craymer said. That appears to have happened thus far in this case. The energy company suggests that a Wall Street Journal article quoting dire warnings from Combs swayed the judge. An appeals court in Travis County upheld Dietz's written decision, backing the comptroller’s interpretation due to “a lack of clarity” in the way lawmakers wrote the exemption. Hegar cited those earlier rulings in expressing confidence that Texas would ultimately prevail. But Dietz’s initial inclination may have telegraphed that Southwest’s arguments are “pretty strong,” Craymer said. “But there’s no escaping that $4 billion is a lot of money,” Craymer added. And it’s not the only tax case that could wallop state coffers. Texas would stand to lose up to $1.5 billion a year — and $6 billion in initial refunds — if it loses a separate legal challenge involving the franchise tax levied on businesses, Hegar warned lawmakers last spring. In April, Texas' 3rd Court of Appeals sided with the parent company of AMC movie theaters by widening the definition of "tangible personal property" under the state's tax code to include more of the theater chain's expenses. AMC argued that screening movies fits under the “perceptible to the senses” definition in the code, meaning it should be able to use its costs for theater space to offset revenue when calculating taxes. Hegar fears that most any product could fit that definition, leading to a flood of refunds. The state is asking the appeals court to reconsider the AMC decision, and will then appeal to the Supreme Court if necessary. That means a resolution could take some time. At least one prominent credit ratings agency is closely watching the state’s big money lawsuits. In a report released Thursday, Moody’s Investors Service noted the AMC challenge — as well as the state's school finance case, which is also before the Supreme Court — as “other potential spending challenges” that could force Texas to tap into its Rainy Day Fund. 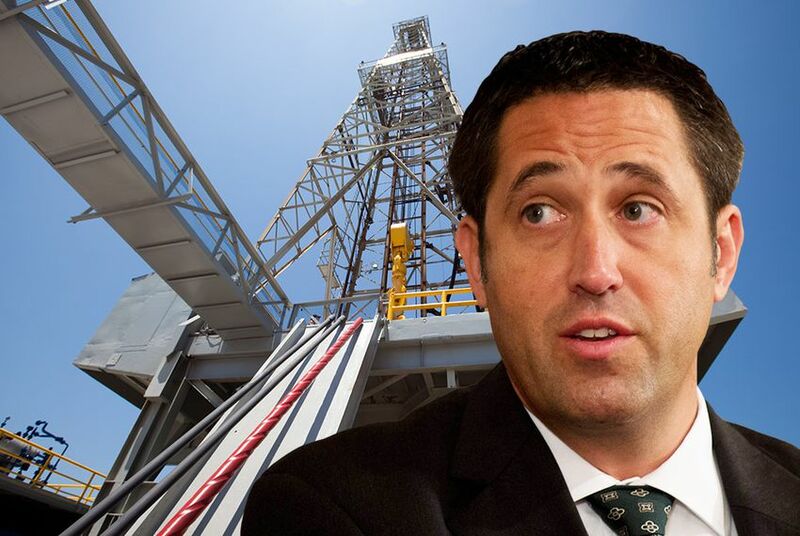 But even as prolonged pain in the oil patch fuels lawmakers' concerns, Hegar insisted Thursday that there's no need to panic. "The current budget works," he said.